Leaders from different local government agencies, NGO's and private sectors attended the FEDERALISM SUMMIT today, December 1, held at Grand Men Seng Hotel, Davao City. The event was dubbed as, "MINDANAWONS FORGING UNITY TOWARD A FEDERAL SYSTEM OF GOVERNMENT", sounds a bit ambitious but this is what they want to push as an alternative form of government that will help EMERGE and URGE Mindanao political, social, and economic development and to BOOST lasting positive changes in the lives of the Mindanao people and not just Mindanao but also the whole country that will create more positive outcomes in employment and empower. Everyone is asking about what will happen to Davao City if FEDERALISM push through. 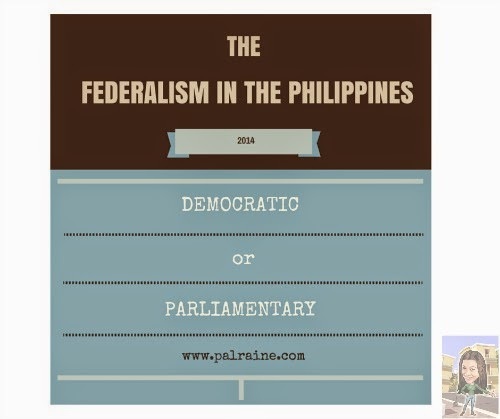 First let us define, WHAT IS FEDERALISM? FEDERALISM- a system of government in which a written constitution divides power between a central government and regional or sub-divisional government. 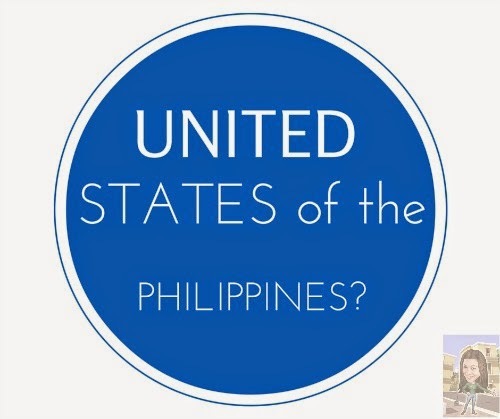 I think Davao City will be called a City State of Davao from the United States of the Philippines? Oh well, just my opinion not sure about the so called Federalism. All I know is that Federalism will help solve the problem of Mindanao, as I heard from the radio commentator while listening what happened on the summit, he clearly relates that "65% of the so called Mindanao tax income are given to the National Government, and only 12% are returned", what a sad scenario. Mindanao is known to be the BASKET CAPITAL of the PHILIPPINES if not given enough care and attention our government will face a starving Philippines. Why I have said that? Because base on what I see and read, Philippine Politics is compose of a bunch of corrupt people, they are just looking for their own welfare, performing immoral or illegal practices for personal gain and take note without an "APOLOGY", they always DENY and DENY and DENY! I will not elaborate it, but you know what I mean about the CORRUPT POLITICIAN and this is not new to you and I am pretty sure, you are also tired hearing this. Going back to the Summit, it is a SUMMIT and you read it right. This is not campaigning for our Mayor to run for the PRESIDENCY. NO! A big NO NO NO. I am favored for the creation of a strong FEDERAL GOVERNMENT but not to urge my Mayor to run for the highest position. I respect his statement that, "HE WILL RETIRE and NOT RUN for a HIGHER POST in 2016"
Let's face it, Mayor Duterte is sick and for me I want him to retire with a GOOD NAME with a GOOD LEGACY. The fact that if he enter in a higher post there are so many things to consider, though some of them are POSITIVE but most of it will be NEGATIVE. Though I am not closing my door, if Mayor says, he will not run - I will not oppose it! And if Mayor change his mind and decide to run - I will respect & support him! All I want is to have a leader. A GOOD LEADER to lead us for a FEDERAL GOVERNMENT, someone who has a strong will to govern Federal Philippines. ~ JUST MY SAY. What will be the right Federal Government for the Philippines? very well said.. ms. Raine.. FEDERALISM is a system of GOVERNMENT whose primary Feature define in the constitution is the DISTRIBUTION of powers between a central or a national authority (the federal government) and regional government or LOCAL STATES with their local governments , no matter what if parliamentary or democratic federalism will rule , but the main goal is to promote 80-20 revenue sharing economic feature (80 percent share for the local states and 20 percent to the national budget) Only a small fraction that people in Mindanao pay for their taxes goes back to them. Approximately, 54-60% of the taxes that the government collects come from Mindanao. But even so, Mindanao is lagging behind Luzon and Visayas in terms of overall economic development and even in literacy rate. through Region-based Economic Decentralization, the regions will be empowered to make their own economic and business-related decisions so that they themselves can decide how they want to attract investors to come over and set up companies in the regions. Instead of a centralized unitary economic management by Imperial Manila, we end up with empowered autonomous Regions who can compete with each other in trying to best attract investors and businesses. Whether it be by providing lower taxes or creating better policies, or it could even be by simply improving the efficiency of their own regional governments, the simple point here is that by making the empowered Regions compete with each other, they are forced to improve themselves in order to attract economic opportunities and businesses because in turn, the more businesses go to regions, the higher their revenues, the better the region’s infrastructure, and the more respectable the region’s leaders become. If certain regions succeed in making themselves richer by successfully attracting so many investors and multinational companies as well as national companies originally headquartered in Manila, since they are autonomous and empowered to keep a bigger share of the tax revenue that they collect and are also empowered to make their own regional decisions, they may even decide to raise the salaries of their own government employees and leaders, thus making it unnecessary to resort to graft and scraping little kickbacks just to decently raise families. Regions will compete against each other and thus try to lessen their inefficiencies, lessen corruption, lower taxes, improve infrastructure, etc. ot only that in FEDERALISM emphasize respect for socio - cultural diversity of the people and seeks national unity in regional diversity it promotes national SOLIDARITY and COOPERATION governance, nation building ,modernization and development by federal republic system of government. in Federal system they have a STATE BASED JUDICIAL SYSTEM Each independent state shall have one Superior Court, and for the Federal Government there shall be a Federal Supreme Court.the Federal Supreme Court shall intervene. The latter shall hear, decide and try concerning the conflict among the states, e.g., breach between the states' jurisdiction that cannot be settled within the contending parties themselves, and any decision shall be final and irrevocable concerning the general welfare of justice system. and lastly The EQUAL representation of the state with each regional states by two and also the imposition of autonomous region namely the indigenous and Muslim with some regional states. in the long run .. Hope and pray that we want have a great leader with magnificent political will like our beloved mayor to stand and pursue this form of government for betterment of our well loved motherland. Whew! Super haba...anyway thanks so much sir Joepet for the enlightenment. This is what we want, enables people to engage, visualize and analyse people’s voices on sustainable development. A fair share for a better Philippines. I wanted to comment something smart until I got to the comment section and Mr. Joepet Somosot kill all the fun for me hehe. Anyways, I am an activist at heart and despise Philippine's political system, Mayor Duterte is among the few politicians that I truly admire, and the fact that he is pursuing this change made my respect for him grow even more. Federalism sounds like a good idea. But I agree with Jojo Vito, this needs more studying. And about the most famous Mayor of the Philippines, I think he will be a great President if he ever decides to run for it. No wonder there are rebels in Mindanao because of that fact that most income are given to National Government. Even if I was living in Mindanao, I would be hell pissed off to that I don't get the same benefit. So sad. I don't know if this Federalism would world because no matter if we change the government system, if those who will hold the positions are corrupt, wala rin. It's actually a good idea since Mindanao is so far from the Metro. The distribution of leadership can actually help handle situations better. There's so much disunity in our country that makes Federalism a bit difficult to implement and could lead to more conflict. It's so far the most preferred by people of Mindanao. They wanted Mindanao to be like Manila or Luzon, in terms of development and not the political system. As part of the Philippines, Mindanao will unite with people of the whole Philippines, not just Davao or anyplace in Mindanao. The Mayor of Davao is not only the politically-inclined person who could develop Davao, and the whole Mindanao. He should unified his betterment of Davao, and the unification of whole Mindanao too. Our country has negative people in the government, ever since, the history of the Philippines. Nowadays, only President Aquino can make it happened in an open situation. How about the past Presidents? I think, they knew the ills but didn't have the courage to do it. If Federalism will be the implemented like in Mindanao alone, all the leaders in Mindanao should unite and show their prowess that they can control and instill peace & development in the whole of Mindanao. Davao Mayor is just one of the leader,how about the others?